(Of Corse linked by SPAZ in Another thread) is a Little pass about the normal life of engineering: Fixes. Even though the F-35 is designed in the state-of-the art computer systems with the sharpest engineers that the wild west can provide, there are still some things that needs to be fixed... Oooups moment or whatever you call it. 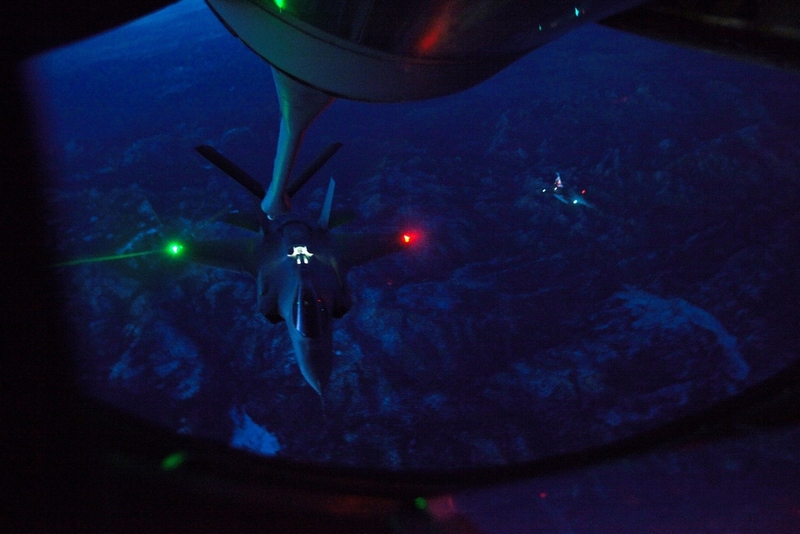 A new light for the F-35’s refueling system—redesigned to reduce glare for KC-135 boom operators— is installed on the red extender arm bracing the refueling probe of this test aircraft (inset). F-35 AF-1 conducts asymmetric load testing, including the use of external weapons stores, during recent flights using newly installed 3F software. Heheh. So much for my SPEED READING of that ARTICKLE. I wondered about the graphic seen above but did not REread to find that GEM. Thanks for that. I'll give my SpeedReedin' TUTOR a SpeedyEARful! My eyes get tired reading screen after screen (of crap mostly) so sometimes I MISS THE GOLD! This incident is really far down the chain of event... could as well have gone trough unnoticed I guess. 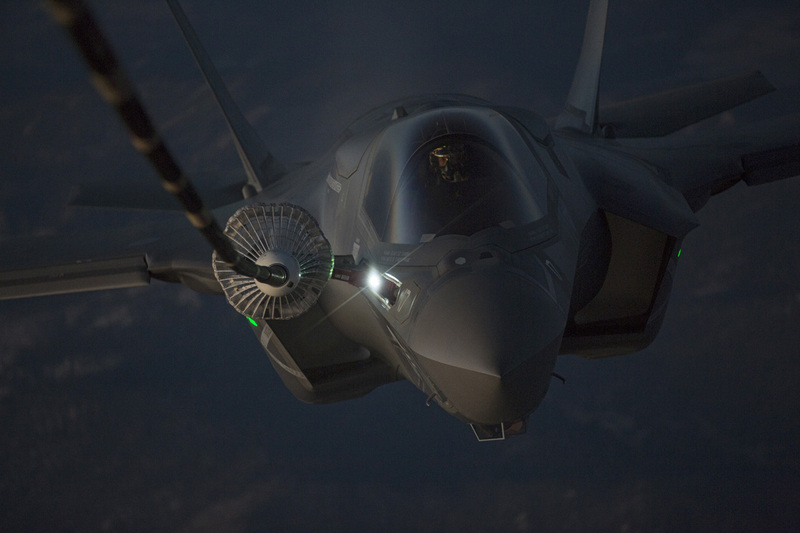 "...A new light for the F-35’s refueling system—redesigned to reduce glare for KC-135 boom operators— is installed on the red extender arm bracing the refueling probe of this test aircraft..."
"...The British were the first to develop a really practical aerial refueling system. It was called the probe and drogue method and it’s used by US Navy aircraft as well as nearly all the aircraft of other countries. The probe is carried on the aircraft to be refueled. On high-speed aircraft, the probe retracts for streamlining. On slower aircraft the probe is fixed in place on the outside of the wing or fuselage. 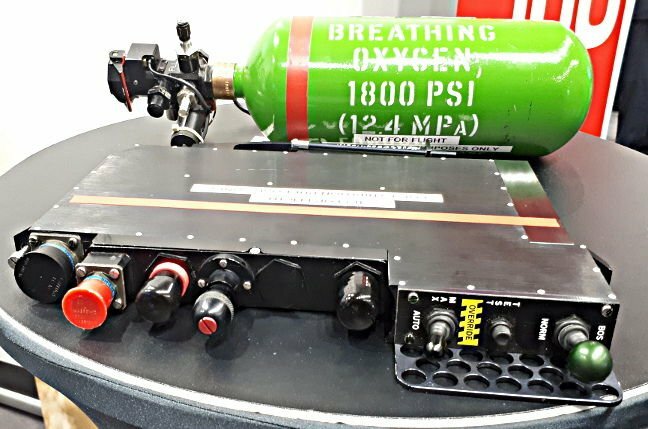 The drogue (or paradrogue) is the collapsible basket and fuel valve assembly at the end of the fuel hose trailing behind the tanker aircraft. The pilot of the fuel-hungry aircraft carefully guides its probe into the basket, where a latching mechanism holds it in place. (See the illustrations below.) Once enough gas has been passed, the receiving aircraft backs off to break contact with the drogue. Because of turbulence close to the aircraft, this maneuver is not as easy to do as it sounds." OTHERWISE with catshot etc. Getting into the basket is more difficult in turbulent air at low level (depending). PDF of the 25 pages now attached below. I can search the internet for the sentence about the probe light and it appears here and 'supposedly - according to google at the URL - however it is no longer there - edited out I'll guess by AvWeak. No wonder I never saw it there. Still and all, good to know why the odd photo was there and to have an explanation for why etc. Doodesses & Doods here ya go for 'BLINDED BY THE LIGHT' stuff. BEST to READ at SOURCE because there are more PHOTOs and text DETAIL. 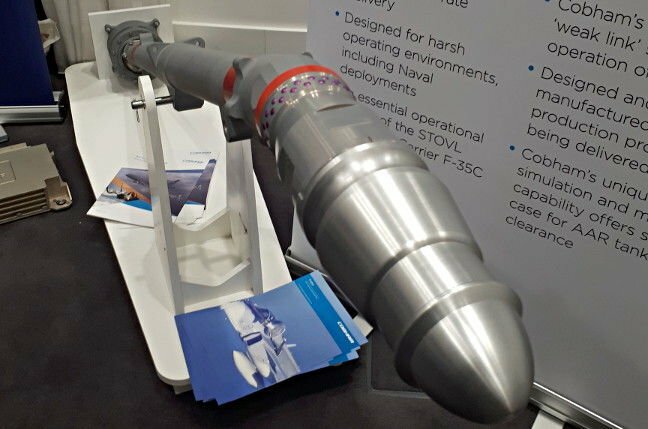 "...This particular series of refueling missions in near-dark conditions, which began in late 2014, was to flight test a new prototype refueling probe light. The white prototype light can be seen immediately to the right of the drogue basket in the head-on photo. The twilight conditions were part of a buildup of tests to certify the aircraft for full night flight clearance. 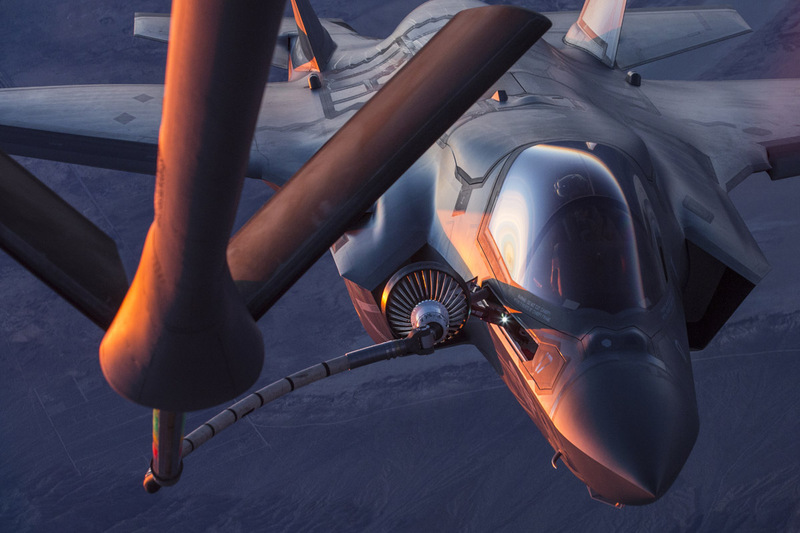 During the tests, the boom operator in the refueling aircraft monitored the F-35’s proximity to the boom, the connection with the F-35’s refueling probe to the drogue, and the transfer of fuel once the connection was made. During the refueling process on the KC-135, the pilot had to fly the F-35 to within five feet of the rigid boom and maintain a close proximity while dealing with the motion of the tanker relative to the F-35...."
CAPTION: "F-35B test aircraft BF-17 was flown over Edwards AFB, California, during several recent aerial refueling missions behind KC-135 Stratotanker and KC-10 Extender tankers. Photo by Tom Reynolds"
1. Pilot training improvements have been completed. 2. Improved inspection of KC-10 aerial refueling equipment has been implemented. 3. Software improvements to reduce the pilot’s workload during refueling are planned to enter flight testing in May 2018. Yeah it was in the DOT&E report. to break in an overload condition. (It's the purple region in the photo from The Register). Thanks for info & pic 'marauder2048'. Do you have a link please? I'm looking at THE REGISTER now.... FOUND IT!